100% Natural, premium quality white beeswax pastilles. This product has a much milder scent than New Zealand Beeswax. Tamlyn S. Reviewed by Tamlyn S.
These beeswax pellets are easy to work with. Measuring is easy because the pellets are so small. It’s takes a while to melt in a double boiler and gets hard very fast when cooling so one needs to work fast when it’s melted! I used it to make beeswax wraps which turned out great. I use this wax in a balm for rubbing into sore muscles and joints. It is lovely and soft and doesn't stain. It also dissolves nice and quickly. If you have any left over it stores well. Takes some time to melt but firms up your bars n balms really well. Using white beeswax also means that the finished product is a creamy white colour or u can add in any colour u want. 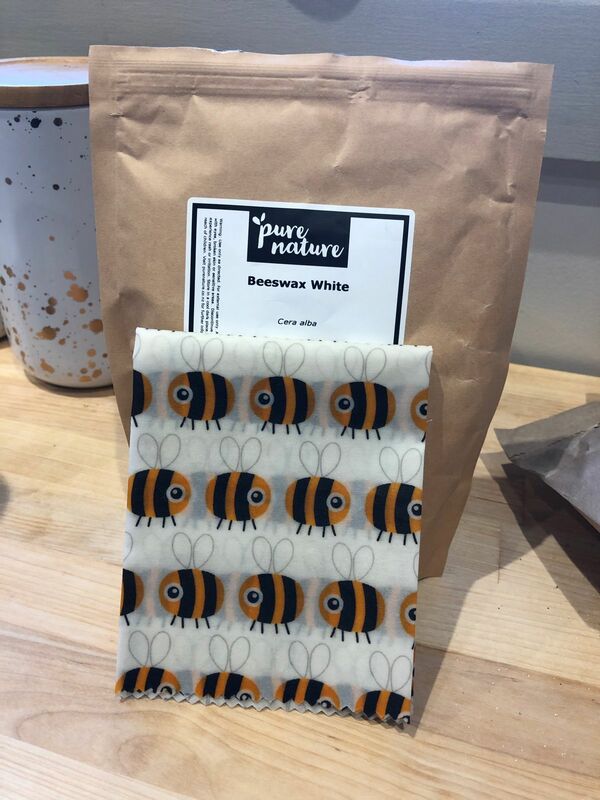 I bought your beeswax white for the first time, I make beeswax wraps and always used yellow wax but light material would come out darker. When I used the white wax it was so much lighter, simpler and easier to melt, no need to grate wax which can take for ever. I love your wax and will certainly be buying more.